Zumel & Co is finding a niche for itself on West Queen West . 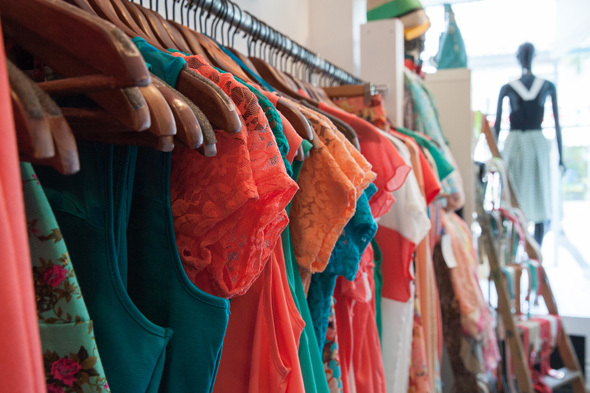 Located right across from Trinity Bellwoods Park, it's a great spot for snatching up passing picnickers and lunch-daters who love trendy pieces for bargain prices. The space formerly housed fashion boutique Robber , which was more in line with the over-$100 price tag the neighbourhood has become known for. Now, Zumel & Co brings a younger, more fun vibe to the block, with most items in the store going for well under $100. Whether or not this is a good thing is very much a matter of personal taste. Lovers of minimalism and those wanting to support local fashion are out of luck here. 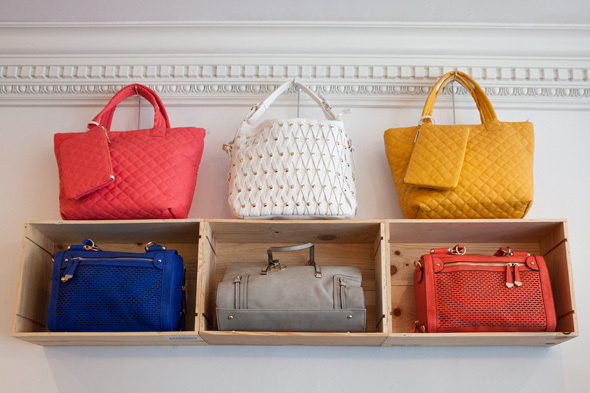 The array of colour in the shop is almost overwhelming, and most of the stock comes from the United States, including Los Angeles, Miami, and New York. But if you're looking for fun pieces to spice up neutrals or a great party dress (and don't want to spend a fortune), then it's definitely worth checking out. Zumel & Co only gets about six items in for any given style, so there's a lot to choose from in this modest sized boutique. Since it's the summer season, everything is fun and bright and rife with patterns - but tucked in between, you'll find soft and neutral jersey pieces. I particularly liked a black crop tank with a cute sheer polka dot yoke for $29, as the fabric felt more sturdy than its H&M counterpart would. Even so, with the lower prices comes a shift in fabric quality, and there's a fair amount of polyester here. 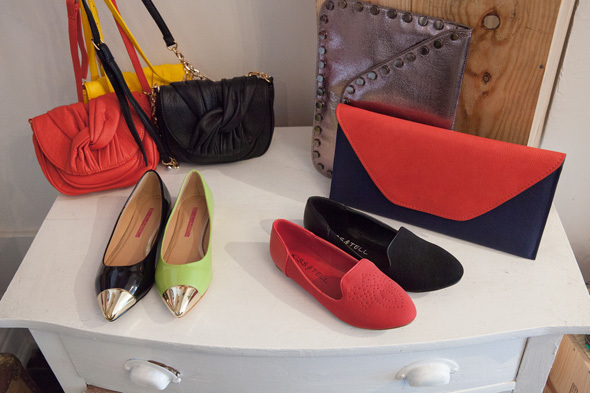 Most of their shoes and handbags are also vegan leather (which really just means it's polyurethane). If you're not fussed about that, they have an especially stylish collection of clutches that make it worth a visit. Overall, their goods are trendy, fun, and sure to help you get street style snapped. If you're not sure how to put a street style-worthy outfit together, Zumel & Co can help you with that too. They offer an image consulting service curated by in-house stylist Lisa Lowe, and you can even get their hair and makeup artist, Tomek Wenski, to finish your look off if you book an appointment. Writing by Esther Rogers. Photos by James C Lee .